SEAMAN JOB INFO - Posted/Feb/2019 Scanmar Maritime Services, Inc. 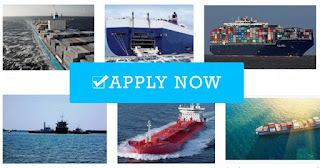 Opening many jobs position for Filipino seafarers crew join on tanker, heavy lift, container, bulk, passenger vessel deployment March 2019. Share to help other seaman looking jobs at sea. Maritime & offshore jobs guide. Family life insurance company. Free finance courses. 0 Response to "Cook, C/O, 2/E, 3/E, Motorman, Elect, AB, O/S, Fitter, Wiper, Pumpman"